3D Results, a leading HR strategic consulting firm and recognized innovator for the SAP SuccessFactors human capital management (HCM) suite, announced that Betsie Reynolds has joined the firm as Learning Practice Director. As Practice Director, Betsie will lead the learning management services team, working with SAP SuccessFactors and IBM Kenexa clients to add value to their learning projects by bringing a learning and talent practitioner perspective. In addition, she will provide thought leadership for the company and be a strategic partner, both for internal stakeholders and clients. Prior to joining 3D Results, Betsie served as a Senior Manager, Organizational Development at Republic Services in the Learning and Talent Development department, responsible for success of the talent agenda. Her well-rounded experience as a learning and talent development professional is enhanced by her knowledge of the SAP SuccessFactors suite, including Learning. 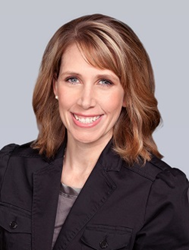 Betsie is well known for being the co-founder and first Chairperson of the Arizona SuccessFactors User Group, in which she has connected customers throughout Arizona to share expertise and experiences. In the past two years the group has attracted a significant number of SAP SuccessFactors primary customers. “Betsie Reynolds brings over 20 years of experience in learning and talent development to 3D Results. The addition of Betsie to our leadership team further enhances our deep bench of talented SAP SuccessFactors professionals, and positions us to be the leading firm when it comes to learning strategy and learning management systems.” said Bob Rook, CEO.